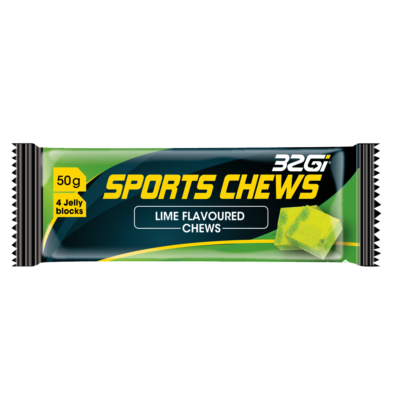 32Gi Endure Range Sports Chews are innovative energy chews which do not melt in extreme heat and are uniquely designed to deliver stable and prolonged energy. 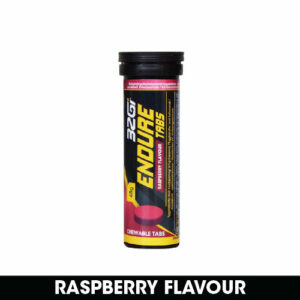 Race Range was designed to meet the needs of high performing athletes who require very fast energy in the form of glucose while still providing balance and stability. 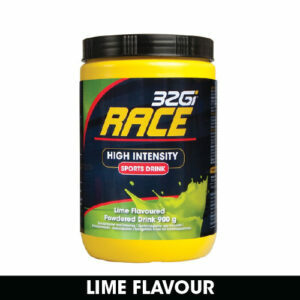 Race Range provides the natural combination of ingredients supporting the muscles needing a faster uptake of glucose. Race is a carbohydrate rich sports drink providing immediate energy in the form of glucose during high intensity exercise. Race uses a multi-carbohydrate transporter system utilizing a combination of fast absorbing and stability carbohydrates to provide immediate energy requirements whilst maintaining balance preventing sudden drops. 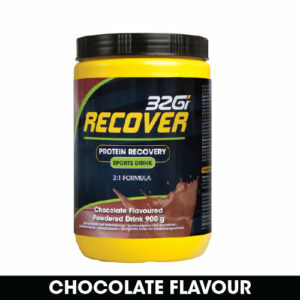 32Gi Recover s a unique vegetable protein recovery formula using a 1:3 PROTEIN to CARBOHYDRATE ratio. The 3:1 carbohydrate to protein ratio can assist in delaying the onset of muscle fatigue during high intensity exercise. Recover contains all the essential and non-essential amino acids and is naturally high in BCAA’s and Glutamine. 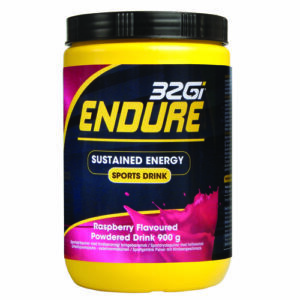 The 32Gi Endure range was specifically designed to provide a stable release to an athlete. The product does not spike blood sugars excessively. It releases in a slower and more controlled way ensuring that the user feels a sense of balance and stability during a sporting activity. The 32Gi Endure Range is completely suited to athletes that train or race at a controlled or comfortable pace. It is also a range where a weight conscious athlete would benefit far more due to the lower and slower rise in blood sugar. The range is widely used by professional athletes especially ultra-distance athletes. 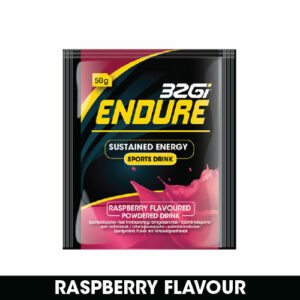 32Gi Endure Range Sachet uses a unique carbohydrate blend to provide stability and prolonged energy before and during exercise.